Rebecca Morgan Frank, co-founder and editor-in chief of Memorious, and author of the forthcoming poetry collection Little Murders Everywhere, brings some nonfiction books having to do with music (sort of) into the mix of lists of anticipated books of 2012. 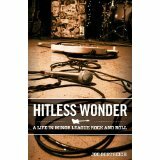 Hitless Wonder: A Life in Minor League Rock and Roll, Joe Oestrich (Lyons Press). I first crossed paths with Joe Oestrich in Daytona Beach, as fellow employees of the Educational Testing Service (yes, AP grading used to happen in the fair town of Daytona Beach, and yes, the grading vault is a great place to discover some new writers), and I have never forgotten the story he told me about how many band members can live in one New York apartment. It’s still a logistical mystery to me, and I can’t wait to read his forthcoming book. Who doesn’t want to hear about the Rock n’ Roll life when the book description reads, “Everyone knows the price of fame. Hitless Wonder measures the price of obscurity. What happens when you chase a dream into middle age and, in doing so, risk losing the people you love?” This is clearly a book for my generation. 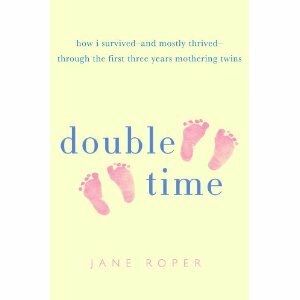 Double Time, Jane Roper. (St. Martin’s Press). Jane Roper, author of the novel Eden Lake now brings us a memoir about what happens when a novelist and a singer-songwriter become the parents of twins. I’m not a parent, yet Roper reels me in with her broader cultural commentary, her sometimes biting humor on family and writing life, and her honest exploration of her experience battling depression as a writer and a mother of young twins. Her narratives and meditations on her blog on twin parenting are moving and entertaining, and she has drawn from them for this full length memoir that takes us from the challenges of conception to the constantly averted chaos of having twins. Granted, not a subject for everyone, but it’s on my list for Mother’s day gifts. 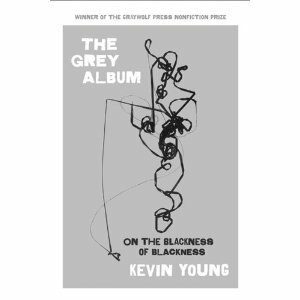 The Grey Album: On the Blackness of Blackness, Kevin Young (Graywolf). I’m still reeling from Young’s ambitious latest collection, Ardency: A Chronicle of the Amistad Rebels, which was twenty years in the making, and I can’t wait to get my hands on this Graywolf Nonfiction Prize winner, which the press calls an “encyclopedic book [that] combines essay, cultural criticism, and lyrical chorus to illustrate the African American tradition of lying—storytelling, telling tales, fibbing, improvising, “jazzing.” The title comes, of course, from the Danger Mouse mashup album, and reflects the broad base of music, cultural history, and language play that we can expect from this record collector, library curator, and poet. See, we don’t just love Graywolf for its poetry.